Hardly any of my friends ever come visit me In Tulsa, so truth be told I am writing this to see if I can entice them to come before I move to Barcelona! With Tulsa Tough around the corner too and some great bands headed this way, Tulsa is definitely a must do. These are things that I cherish and will greatly miss but look forward to re-visiting on various trips back to The U.S. 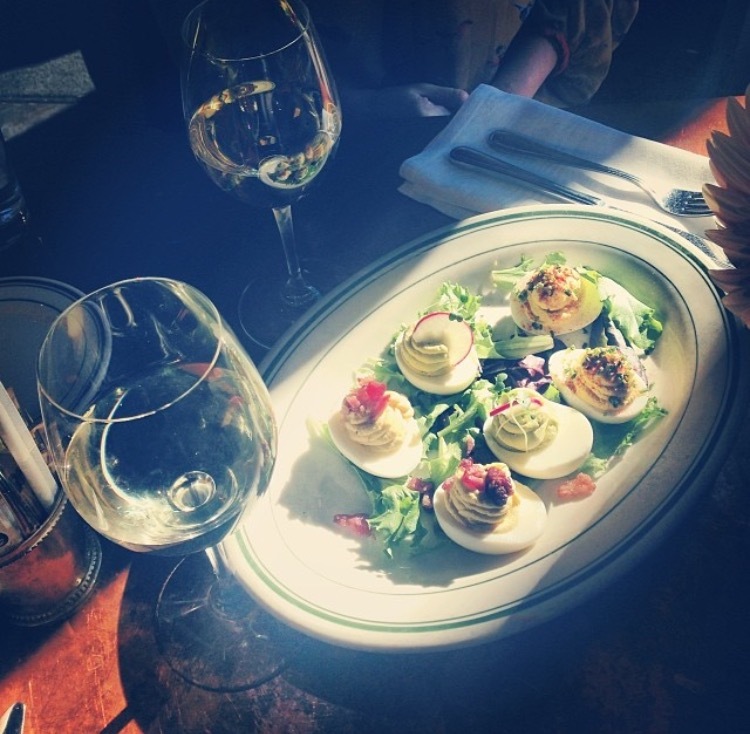 I will be breaking this blog into four parts starting with all of my favorite restaurants! Get prepared to get very hungry !! View of Tulsa downtown from my guest bedroom window. Sooooo many fabulous restaurants! You will have zero regrets! 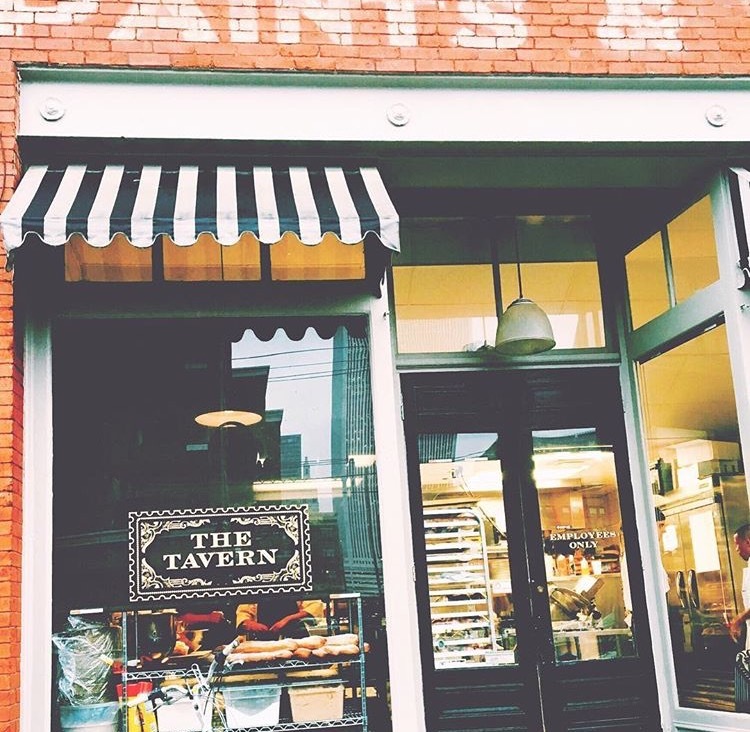 The Tavern is a modern interpretation of the classic neighborhood pub. Chef Ben Alexander’s pub-inspired cuisine represents only the best in local and seasonal ingredients. All dishes are developed using simple preparations that showcase the quality and flavors of each ingredient on the plate. The Tavern offers a well-curated list of artisanal beer, world-class wine and specialty spirits. I adore the whole entire vibe and highly recommend the Tavern burger which consists of stilton, mushroom cognac cream on a challah homemade bun with frites. And you must get the deviled egg trifecta and the bacon popcorn is ridiculously tasty. Somehow save room for the flourless chocolate torte. The fact that it's gluten free makes it seem calorie free to me ! They do a fantastic Sunday Brunch too ! 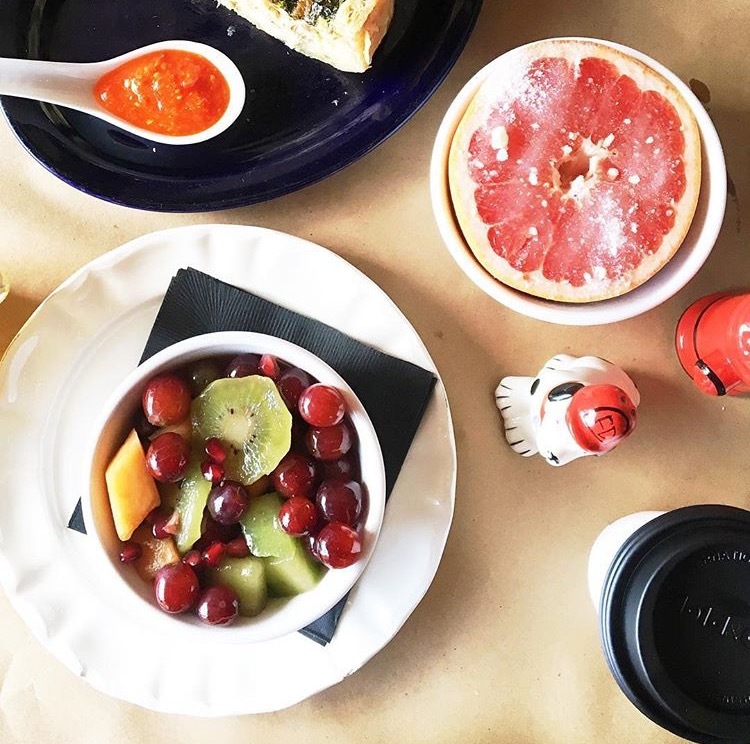 The Bramble provides an amazing farm to table breakfast menu and I adore the rustic farmhouse vibe. The bathroom even has an old farmhouse sink that makes me drool. I highly recommend the donut of the day. The grapefruit and oatmeal is what dreams are made of!! They do have excellent mimosas too and a full bar! 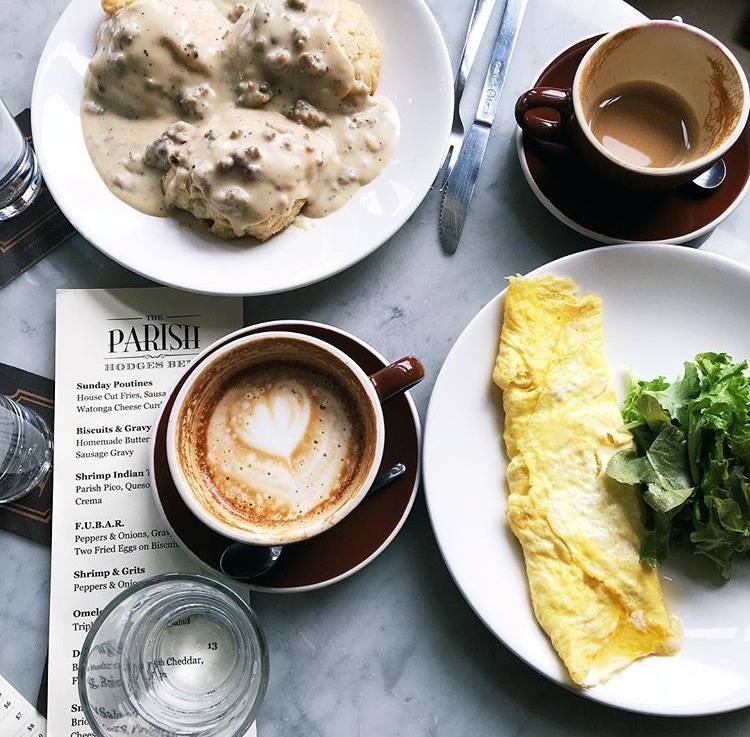 Tallgrass Prairie Table is a Farm to Plate restaurant located in the heart of the historic Blue Dome entertainment district in downtown Tulsa. The Bramble mentioned above is actually it's sister restaurant. Serving Modern American cuisine that is both locally and globally inspired and locally sourced, Tallgrass partners with several local farms and ranches, most importantly Z7Bar Ranch in Pawhuska and the Living Kitchen Dairy and Farm in Depew, to bring Tulsans the freshest local ingredients possible. Executive Chef Michelle Donaldson is passionately committed to the slow food movement. Tallgrass features a small boutique Wine List, Craft Cocktails, and Local Beers on Tap. Highly recommend the daily risotto and I adore the daily tacos! They feature a daily animal. They have the best Sunday brunch in town in my opinion and those maple bourbon donuts are just! I also highly recommend this gem for a large party. They never disappoint. STG Pizzeria & Gelateria (Specialità Tradizionale Garantita or “Specialty & Tradition, Guaranteed) is the best pizza in all the land! This was brought to us by the same owners of Andolini's Pizzeria, which I highly recommend as well. STG is just my love language. They use the finest simple ingredients and make authentic recipes the same way they do in Italy. The STG Pizzeria Wood Fired Oven was built in the Stefano Ferrara factory in Naples, Italy with a large ‘TULSA’ branding on top and shipped directly to Tulsa, OK. It is a non-gas assist oven meaning it is heated strictly by wood fire. All STG Pizzas are created in the oven at a searing 950° degrees Fahrenheit staying completely faithful to the process of true Italian Pizza. And my my my my it is delicious!! The menu is incredibly simple and they will not cut your pizza unless you ask them! 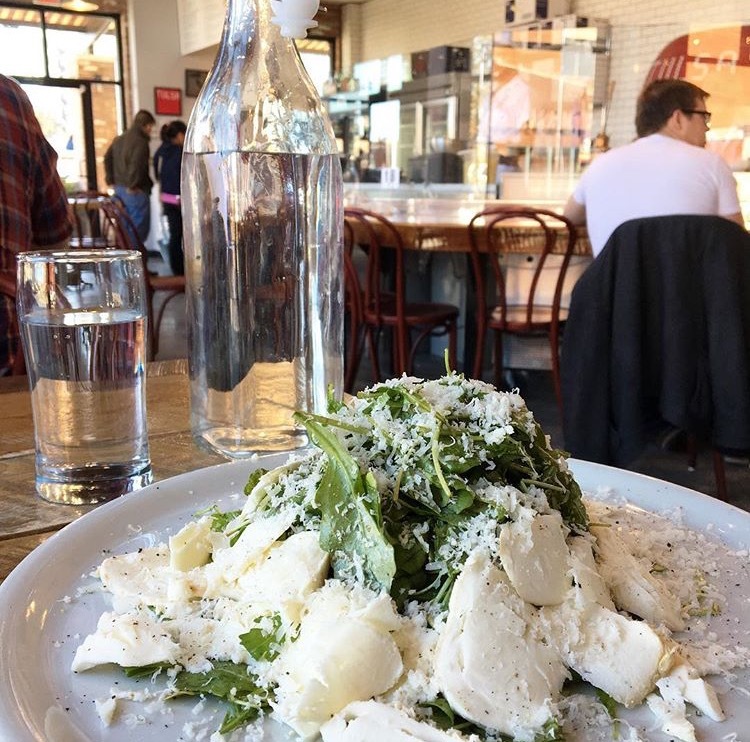 I love love the smoked mozzarella arugula salad with sea salt too! I need this right now. I just want to put this place in my pocket and carry it everywhere I go. 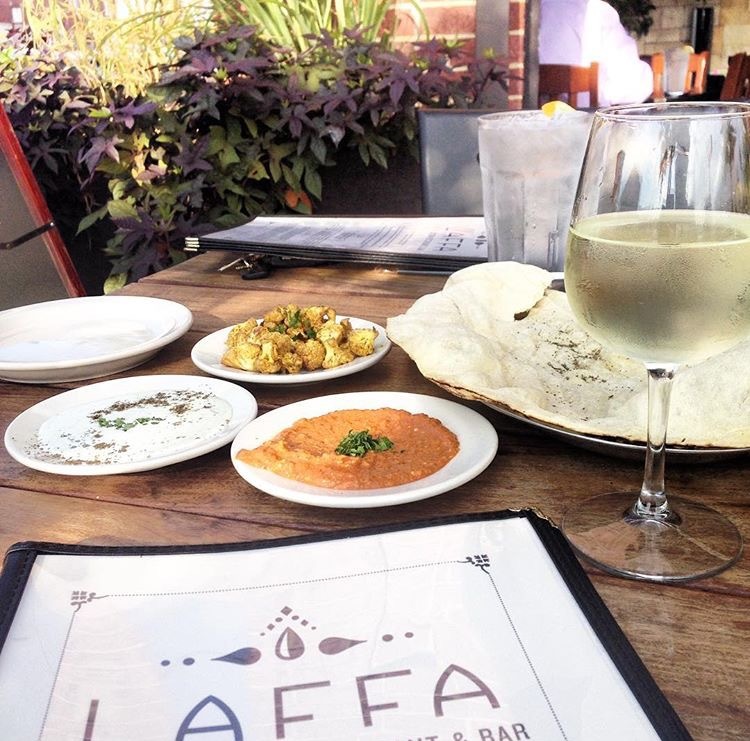 Laffa Medi-Eastern Restaurant where the food is delicious and addicting! The Mediterranean & Middle Eastern diet is vibrant & colorful, robust & fresh. It is designed for sharing & giving pleasure. There are many common similarities within these regions with respect to their signature dishes & styles of cooking. Each country is fiercely proud of its version of a certain common dish & because of each country’s history of invasions & ingredients available, the dish is a little different from region to region. "Laffa" is the name of the bread found all over this region & they make it fresh to order. It is also known as taboon bread, named after the cement lined conical oven that is used to make it. Bread is thought of as a gift from God and only the hands should be used to break it because cutting it with a knife would be like raising a sword to God! If some bread should fall to the ground, it is picked up and symbolically pressed to the lips & forehead as a sign of respect. Leftover bread is never wasted; it is used in both sweet & savory dishes. Highly recommend the mezze!! And just try them all ! I also adore the Brady salad. The falafels are the best I have ever tasted with the 4 dipping sauces. The manakish (middle eastern pizza) is insane!!! And I love love the chicken kebobs with tamarind. 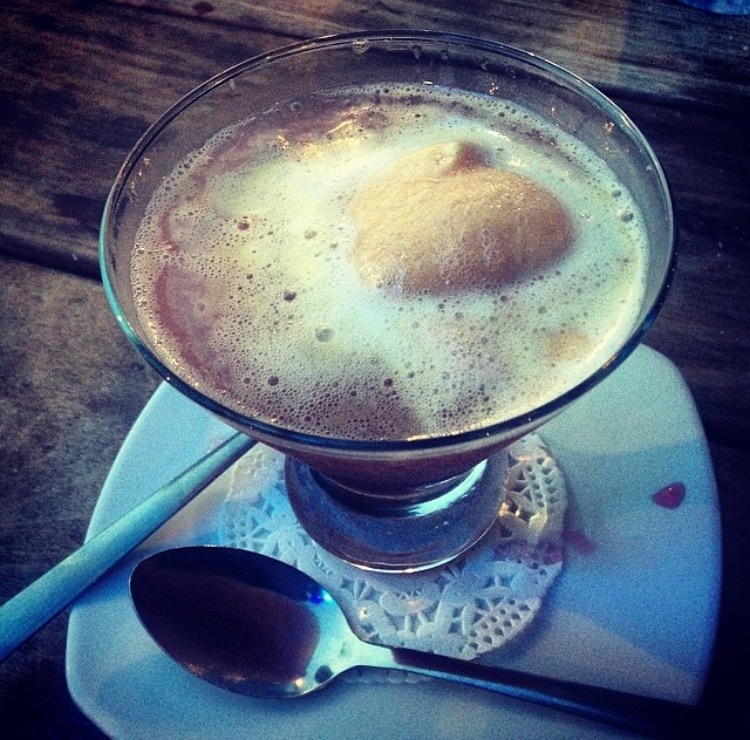 The cocktails are amazing and don't forget the blood orange ice cream champagne desert! Pure Food and Juice is such a gem and Tulsa is so lucky to have it downtown. 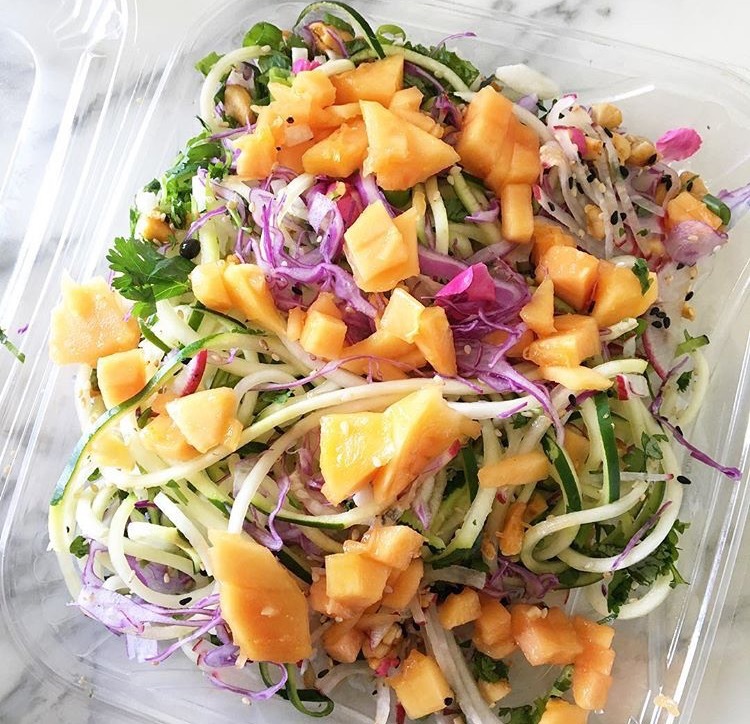 Cynthia Beavers specializes in amazing juice, smoothies, and raw food. CEO, chef, and proprietor Cynthia Beavers is a leading raw food chef, two-time restaurateur, culinary educator, and entrepreneur specializing in the plant-based lifestyle. Cynthia is extremely passionate about creating innovative recipes that that transform people’s lives through food. 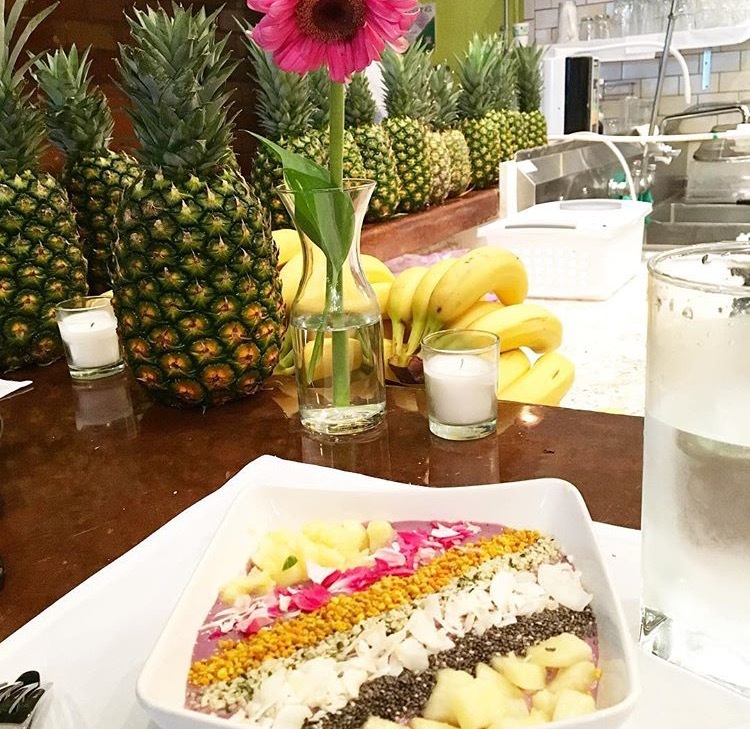 It is her mission to show others that raw food can be beautiful, delicious, and nutritious. Highly recommend every single thing here. The meals are absolutely delicious. The Snow smoothie haunts me in my dreams! And the Zen Hippy Pad Thai is seriously my fave thing ! Her 21 day juice cleanses are fabulous too and Cynthia is great about walking you through the process. Beautiful, right?! Wait until you taste it ! The Vault.. Classic American fare and craft cocktails in a mid-century modern setting. Owner Libby Billings opened The Vault in September of 2012. The Vault resides in the Iconic Mid Century Modern building that was originally built to house the First National Auto Bank built from 1958-1959. At the time it was the world’s largest auto bank with 6 drive through lanes. The bank had a private conference room named the Tom Tom room that was said to have held over 350 meetings a year. 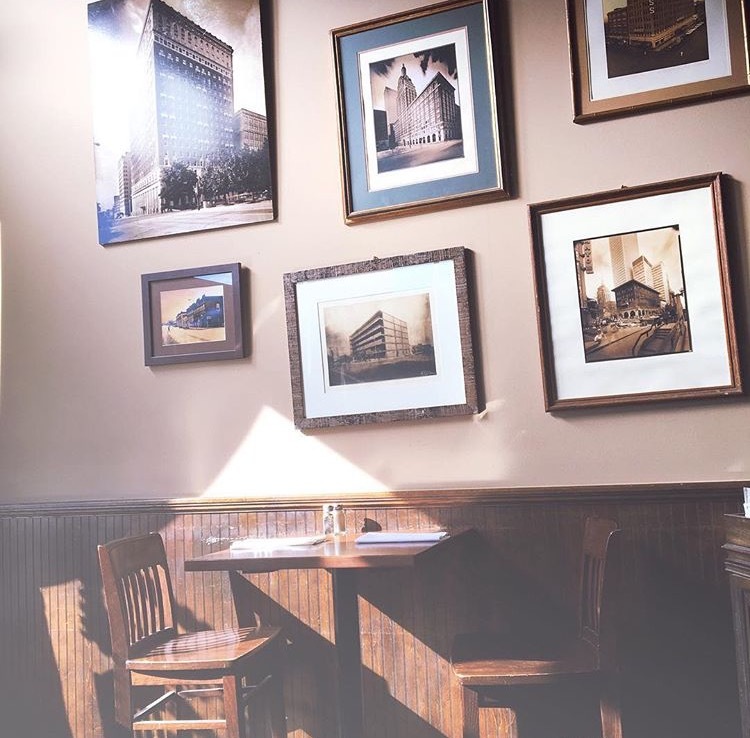 The Tom Tom room still exists today and now serves as a gathering place for Tulsans, a night time hang out, over flow dining, and a private dining room.Today The Vault is excited to serve classic American food and craft cocktails in a building like no other. The Vault focuses on quality food made from scratch and always using organic or all natural meats as well as fresh vegetables and fruit. The craft cocktails are made to order using house squeezed juices, house made syrups and fine quality spirits. 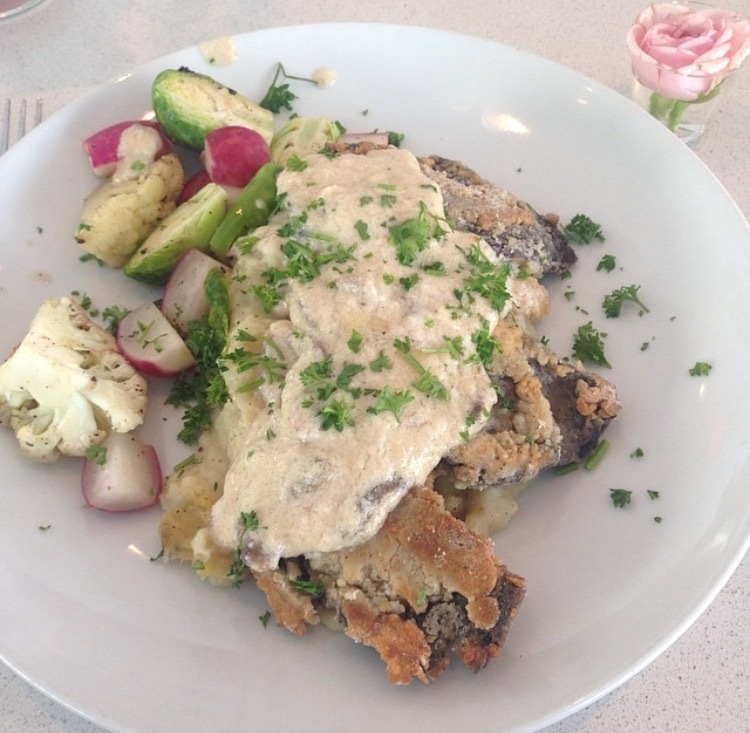 Highly recommend the Pan Fried Portobello: hand breaded Portobello mushroom, whipped potatoes, sautéed radish, cauliflower & mushroom gravy. I also love the quinoa cakes ! 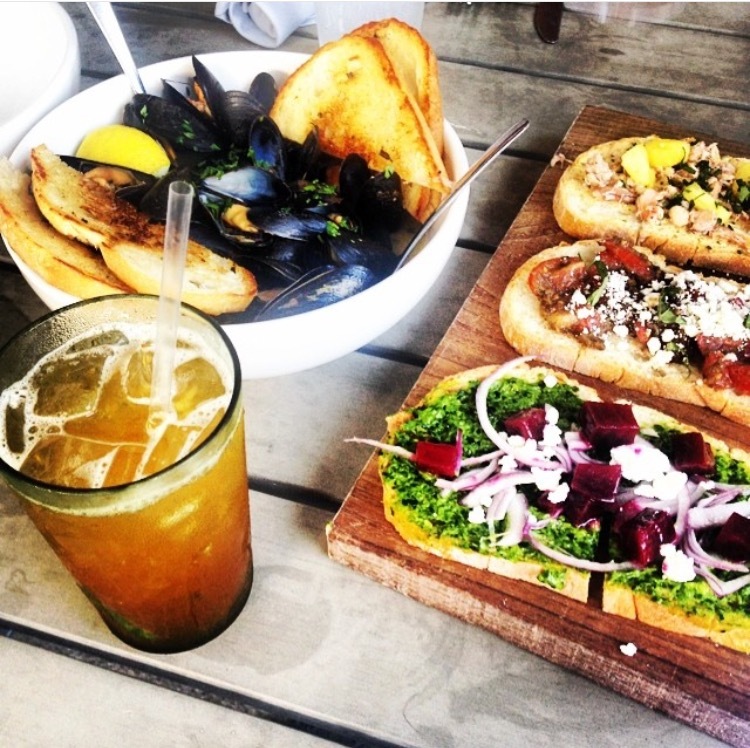 Drunken Mussels & Sourdough are a must-have. And the Bruchetta 3 WAYS 1) local tomato, basil, olives & feta schmear 2) goat cheese, caramelized onion, basil pesto & salami 3) chef’s choice is pure perfection! 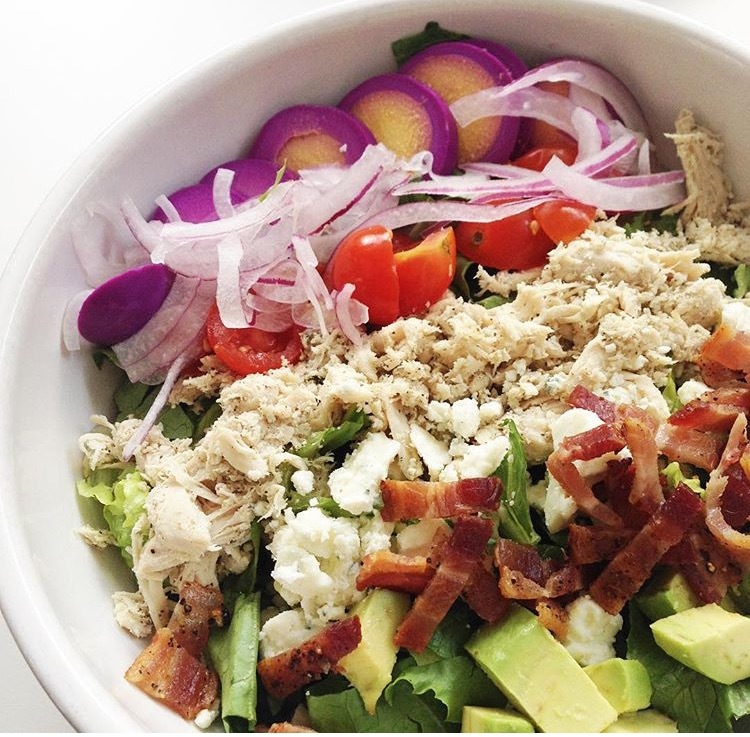 My go to is also their Cobb salad. The green goddess dressing in insane!!! Dalesandros' is my pretend little Italy tucked right here in The SOBO area of Tulsa. The menu is incredibly simple but I love the consistency in their family recipes. They make you feel like you are apart of their family as this neighborhood gem is the place among neighborhood repeat locals. Enjoy your pasta al la fresco if weather permits! Highly recommend not passing on the complimentary bread. The asparagus appetizer haunts me in my dreams in the best way. The Caesar salad is the best in town and every single pasta dish will leave your mouth watering for more. Portions are huge so I dare you to try to eat one all by yourself and send me a picture!! The swordfish entree is a huge seller and when it's gone, it's gone so get there early if you do not want a broken heart. Tulsa Toughers..You are in good delicious carb heaven here to burn it all off on crybaby hill. The Tropical is a serious hidden gem and I am obsessed!!! The kitchen staff takes to the surrounding gardens during the spring & summer seasons and an adjacent green house during the winter, bringing dishes a fresh flair. The Karnchanakphan family has called themselves Tulsans for the past 30 years. More than a decade ago, Lanna Thai Restaurant was founded by them at 51stand Harvard. The restaurant blossomed into a Tulsa staple over the years. A second location was founded at 72nd and Memorial with the same goal and mentality, to bring Tulsa amazing Thai food from a Tulsan Thai family. With the expansion of the I-44, Lanna Thai Harvard had to close its doors. Two years later, with renewed vigor, the Karnchanakphan family began The Tropical Restaurant & Bar. Still with the same mentality, but this time with a different recipe scrap book with focus on bringing Thai flavors from the sea. Still serving numerous Thai food classics, The Tropical brought to Tulsa harder to find bold flavors. So what’s the difference between the two restaurants? That’s something your taste buds will just have to find out. I seriously love everything on the menu especially the corn fritters, the lettuce wraps, the chicken pad thai and the green curry!!!!! I honestly could eat here everyday! And I am so excited Mango Sticky Rice Season is back !! They have the best ! The Tropical is the best Thai restaurant in T-town. The Parish (Hodges's Bend's Food Truck) is seriously the greatest thing in all the land! I live for their Sunday brunch! The biscuits and gravy will melt in your mouth, I promise ! And do not even get me started on the Sunday Poutines. The menu has a high end Southern food vibe and it just melts my heart! This is definitely my go to for coffee and cocktails too but we will talk more about that in the drink edition of this guide . Queenies: This is where you can find me tucked away in my favorite corner for lunch. The iced tea is magical and I love Ruth's chicken salad. And do not skip the mexican wedding cookies!! Shawkat's is the hidden gem. I am a huge fan of Mediterranean cuisine and this is truly the best in Tulsa. The hummus is smooth with a sprinkling of paprika across the top, and the tabouli is heavy on bright-green parsley with a little tomato, onion, lemon juice and olive oil. The falafel is incredibly moist and the lemony spinach pies are divine! The meat pies are a close 2nd . Don't skip out on the tentil soup either. Their pita bread is the best ! I seriously could eat here everyday. They are the kindest people and I feel confident you will add this little piece of heaven to your routine! Brought Jen here for the first time and she loved it ! Roka : Led by a team of local restaurateurs and chefs passionate about dining and service, Roka marks the newest addition of a locally owned, locally minded Asian concept to the Tulsa food scene. Chad Stanger and James Shrader saw an opportunity: create a locally-owned and operated restaurant concept with a comfortable setting, where quality, classic Asian cuisine is crafted with the local community in mind. The menu is wonderful and I love the idea of having so many varieties of Asian cuisine. There is something for everybody in your group. The cocktails are delicious too and I love the new decor. Highly recommend the Yakatori chicken skewers, thai green curry, and the tempura veggie roll might just be heaven on a plate ! PS: for all you sweet tooth's out there I highly recommend Sonoma's blueberry sticky gooey cake. Do have hot tea and the chocolate chip bread pudding from DragonMoon Tea Company. And do take a little ride to East Tulsa for homemade ice cream at Paleteria La Michoacana. Don't forget the Mexican pastries from Pancho Anaya Bakery too!! Happy Tulsa Eating loves ! Shop my dinner date night look here !